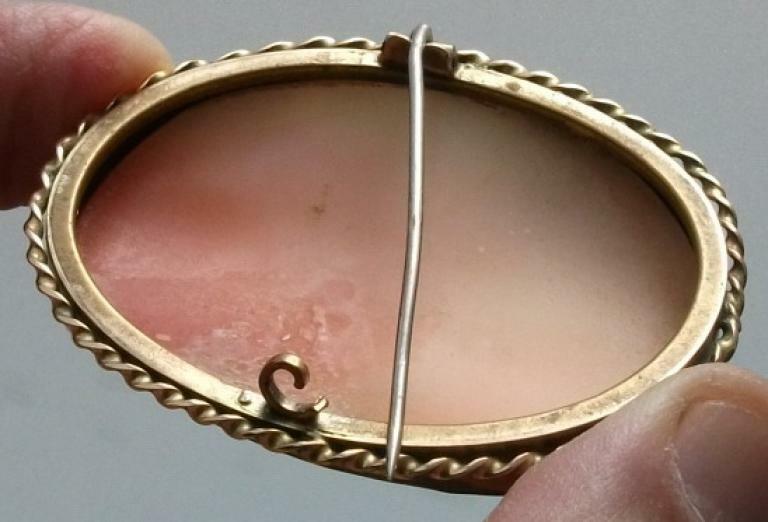 Material: Cornelian Shell, 9 K gold tested. Size: just over 2 1/8" by 1 6/8". 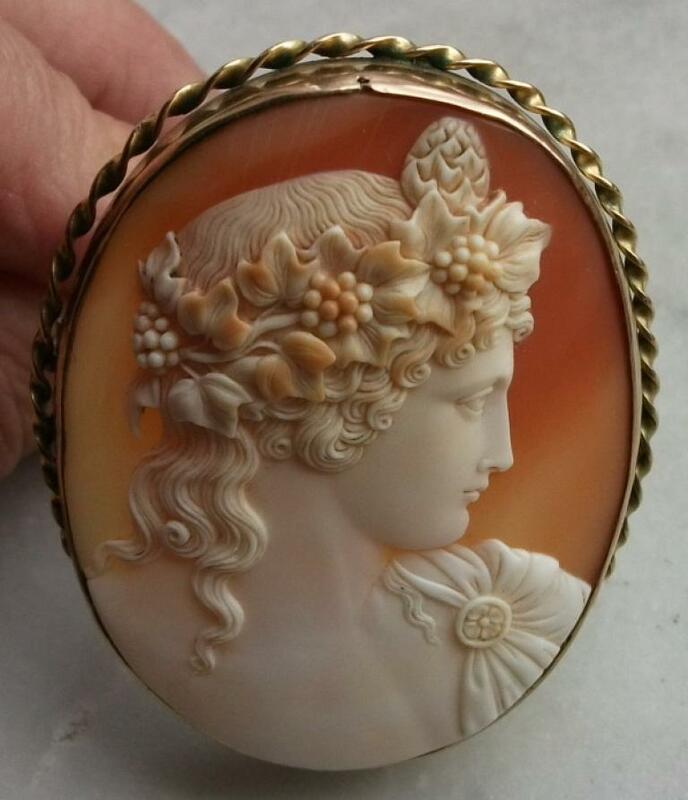 Only cameo is 2" by 1 5/8". 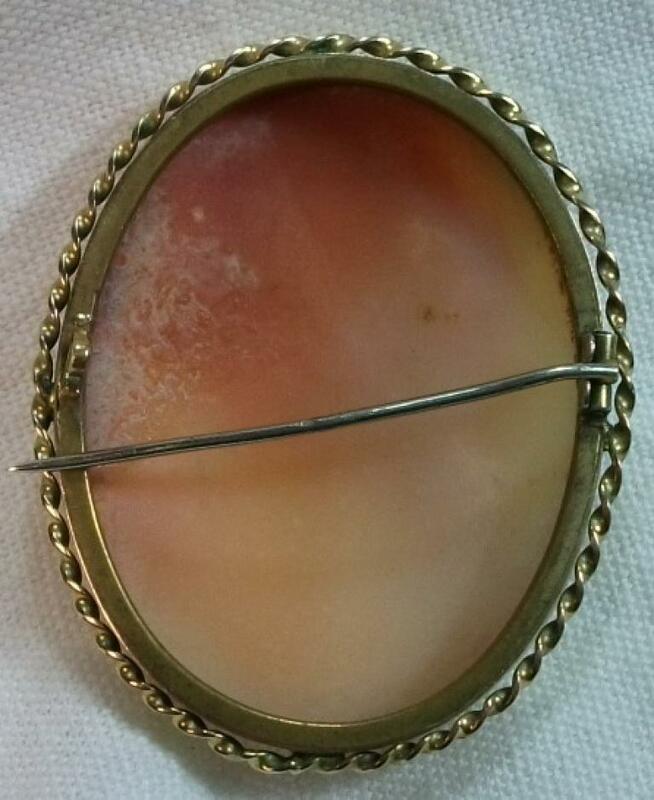 Date and Origin: Circa 1850/1860 Italy, frame could be English. Conditions: A couple of short natural shell lines just above the head of Antinous, a tiny dent on the frame, otherwise Mint. 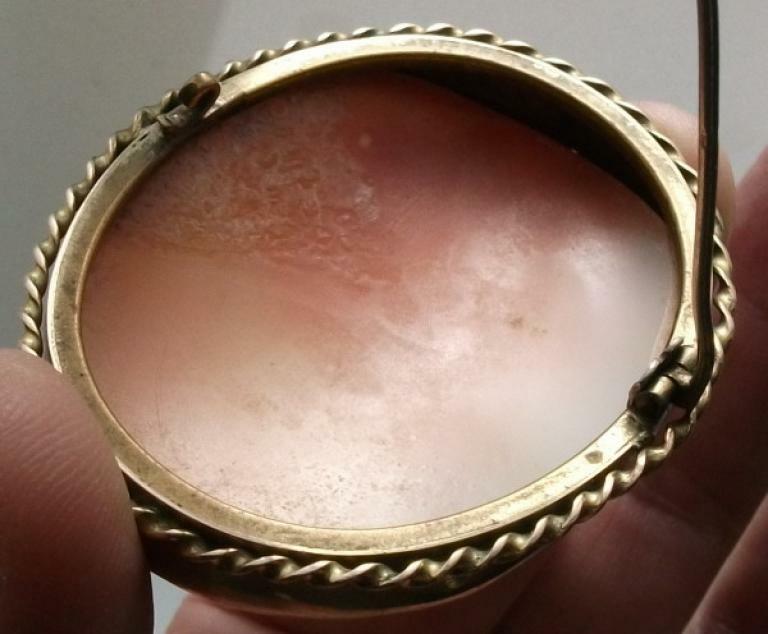 More than Museum Quality cameo depicting Antinous Vertumnus, the young lovers of the Emperor Hadrian. Look how the carver used the shell to evidence his face, the leaves in his hair. 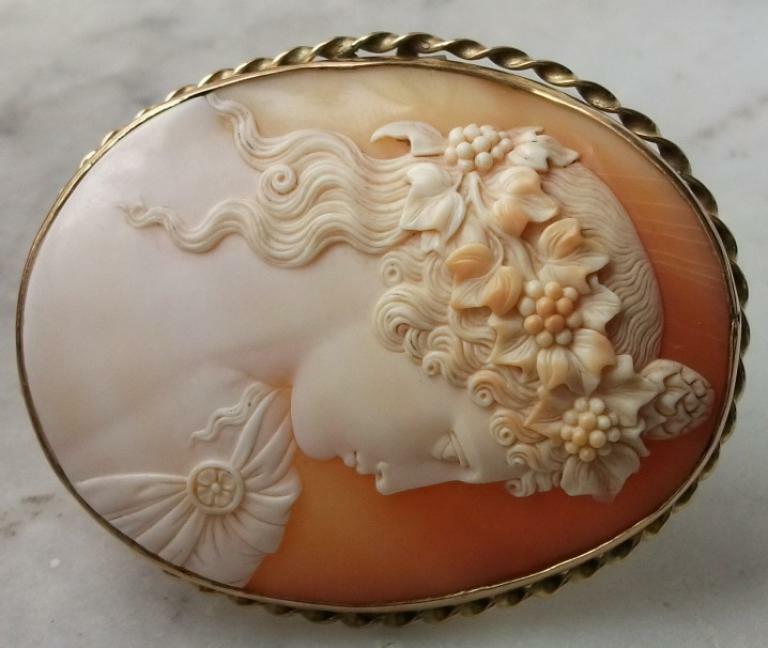 This cameo seems just like a sculpture. This one is really the most beautiful Antinous I have ever handled, the pictures speak by themselves. I'm speechless looking at it. 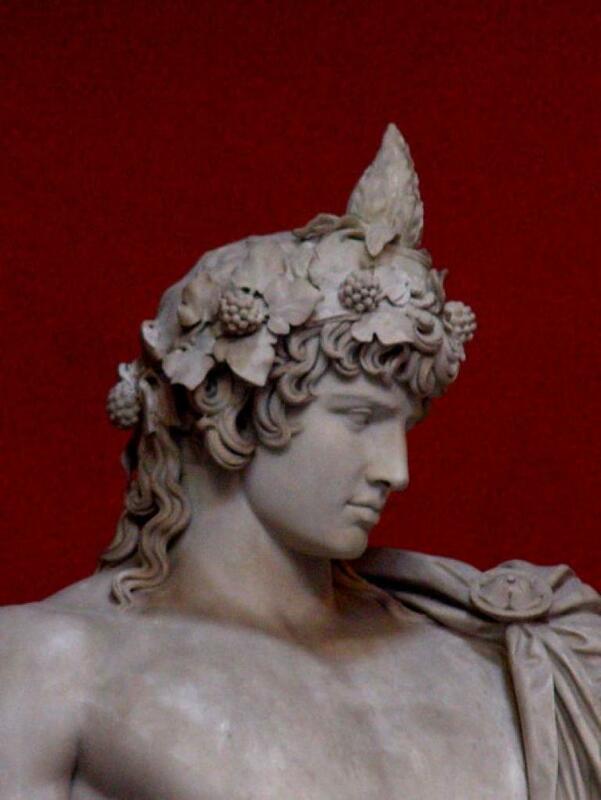 Antinous' face is so well carved, he's so handsome and manly that is very hard to believe that he loved another man. 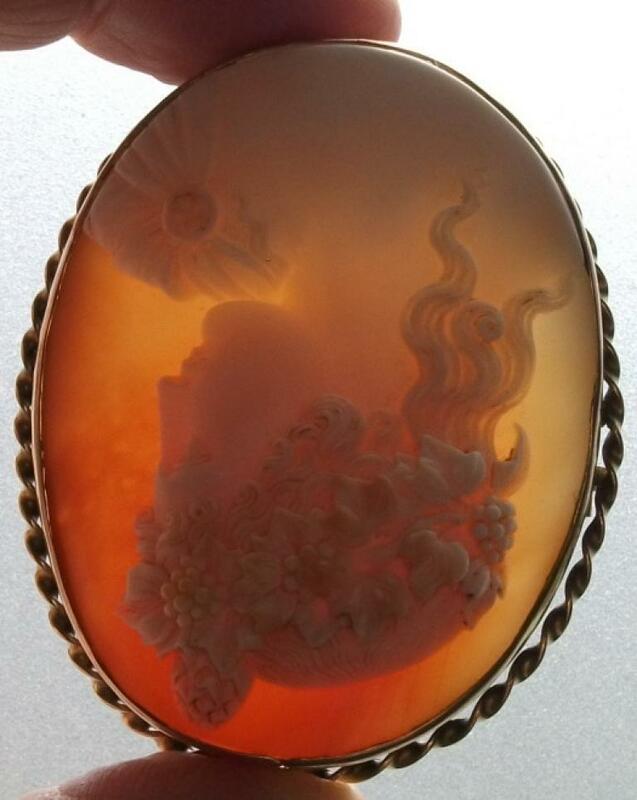 This is a three dimensional cameo, the leaves and the flowers in his hair are so relieved that they really seem true. 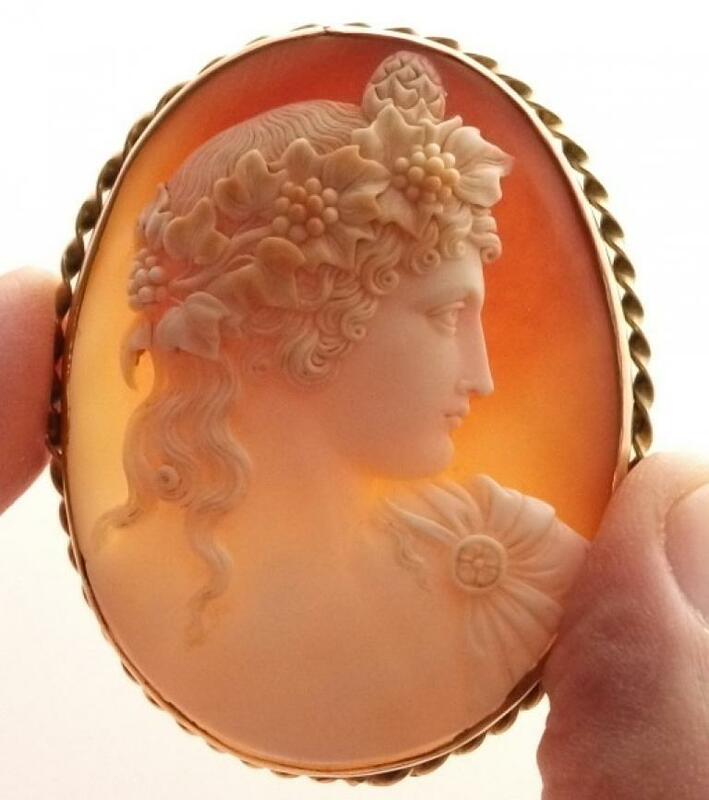 Everything in this cameo is so well made that I'm really amazed. The frame is simple and classic, the right one to evidence the cameo for first, so the eyes are mainly caught by the cameo which really is worth to be seen. 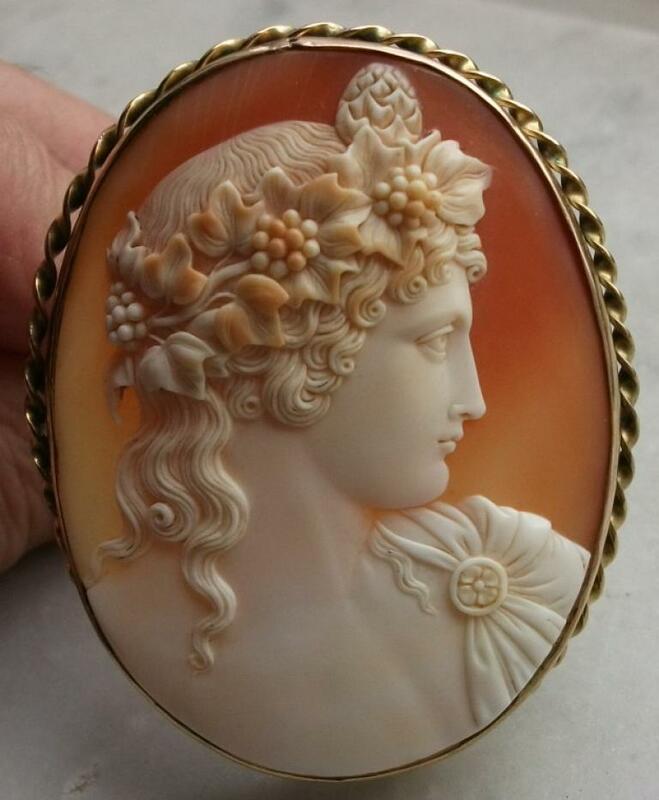 This is another masterly carved cameo. 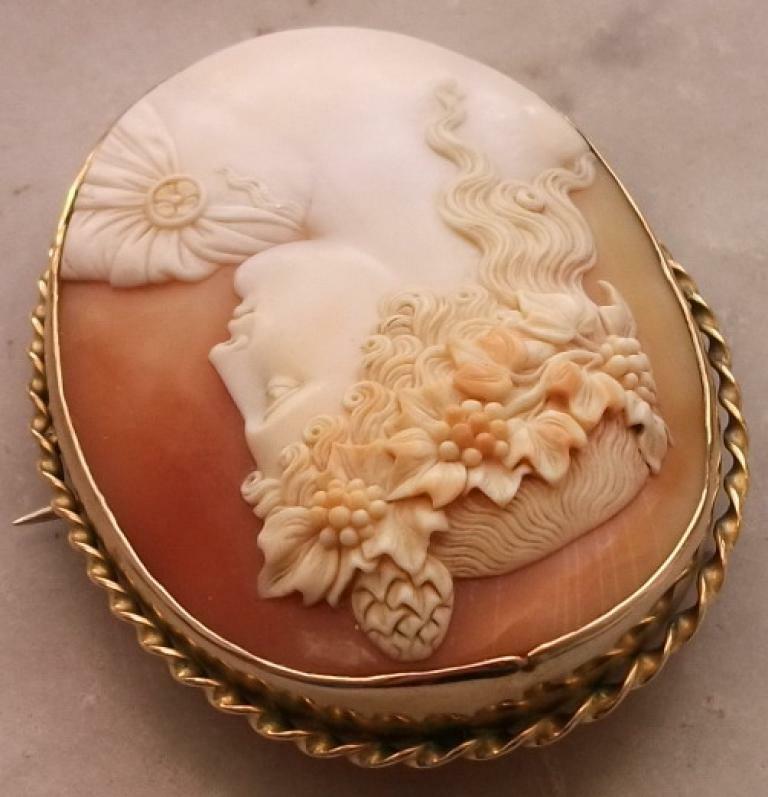 A very desirable collectors piece, rare and museum quality cameo. Born in Bythnion around the year 105 of the Common Era, Antinous was a beautiful adolescent when he first caught the eye of the Emperor of the western world. Hadrian was already in his late forties by the time the two met, Antinous became Hadrian's favorite, sharing the Emperor's bed and his life. For a period of a little less than a decade, the two were inseparable, much to the disgrace of Hadrian's legal wife, the childless and spiteful Sabina. Imperial art and literature of the times show the men in a variety of guises and activities, particularly hunting: a sport the two enjoyed immensely. In the course of their relationship, Antinous matured from a beautiful youth into an intelligent and well-muscled young man. the Greeks referred to the visible maturation of a youth (the growth of his beard and body hair) as "clouds hiding the sun." It was shortly after the Emperor's young lover had reached this stage of his development, and just after his hair had been cut short in the style favoured by the mature men of the period, that Antinous drowned mysteriously in the Nile river during and Imperial visit to the province of Egypt. Within a year, Hadrian returned to Rome, where he officially proclaimed Antinous as a Roman God. While still deeply mourning the loss of his beloved, the Emperor realized the political significance of the Greek youth's death, and from the tragedy forged a unifying cult of worship in the previously divided Greek city-states. Hadrian and Antinous together built a unified Greek nation, a feat which the warring city-states themselves had never achieved. Despite other great accomplishments as Emperor, Hadrian spent the last eight years of his life mourning Antinous. To commemorate their great love, Hadrian worked relentlessly to build monuments and institutions to his beloved. The Emperor found the Greek-Egyptian city Antinoopolis on the banks of the Nile near where Antinous died; commissioned nearly two thousand likenesses, carved from various stone materials;erected temples and altars to the new young God all over Asia Minor; established schools, gymnasiums, panhellenic games and contests in His name. Official Roman coins were struck in all parts of the Empire except Rome to commemorate the beautiful young man. Medallions bearing Antinous' image were issued and quickly became religious icons. Found in April 1793 in a villa belonging to Hadrian and situated in Preaneste (today : Palestrina). When found, the statue was nearly intact, simply broken at the legs, otherwise barely scratched,having obviously been concealed probably at the time of Constantine the Great (ca. 288-306-337), at the latest under Theodosius the Great (ca. 346-379-395). Restored by Giovanni Pierantoni (?-ca. 1814) between 1793 and 1795. Presented soon afterwards by Pope Pius VI to his nephew the Duke Luigi Braschi Onesti. Confiscated by the French when they occupied Rome from 1798, the statue never left the harbour of Rome, and was returned to his proprietor towards 1801. Pio Braschi Onesti, son of Luigi, sold it to Pope Gregorius XIV in 1843, who had it displayed in the Lateran Museum, open in 1844. Later, in 1863, Pope Pius IX had it moved to the Sala Rotonda of the Vatican, where it has been standing since then. Called the "Antinous Braschi" since the end of the 19th century, after its first owner.